Living in Central Florida for most of her life, Harris, has a fondness for the natural beauty of the tropics. Harris looks for beauty everywhere as her inspiration for her work. Harris comes from a long line of Artist. 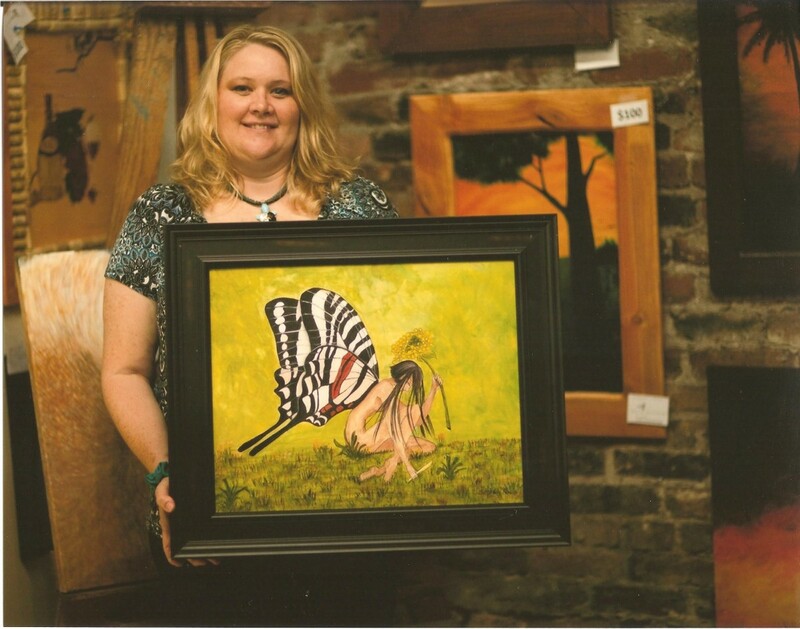 Her mother (Sharon Rae Hyder) is an accomplished professional artist and art instructor at the Hyder Gallery Center for Fine Art. "I have been a student of my mother all my life", said Harris, "Much of my training occurred on our many Mural projects together". "The rest came naturally from practice and osmosis". Her "Animal Eye" series of Acrylics paintings have been her most noteworthy work to date. To watch her get lost in every strand of fur is truly a treat. Her love of love animals and nature is where she finds her joy; her own "copies of creation". "My goal is to inspire and captivate," said Harris, "Not only myself but the viewers as well, and by doing so enrich life. When accomplished it is something I treasure forever. Harris' work is now on exhibition at Hyder Gallery center for fine art. We hope you enjoy Harris' work and "Thank you." for visiting. Email her for more information or to discuss a commissioned work. Visit the web site to for the latest show information. We are now in our own Gallery, HYDER GALLERY!